Is this really from THREE years ago? My front windows. 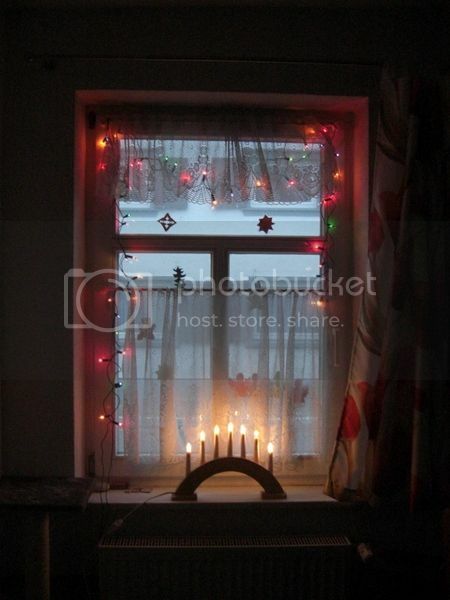 They were decorated very early this year, on first Advent. We taped self-made ornaments on them; cut-out stars, trees, angels and such stuff. With so many years of kindergarden and elementary school behind us, we have a nice stock and don't need to craft them anymore. Love the clever design of the cat! ...With so many years of kindergarden and elementary school behind us, we have a nice stock and don't need to craft them anymore. Same here. I'm hoping the precious hand-crafted ornaments will last another year or two until my grandchildren are ready to start producing! 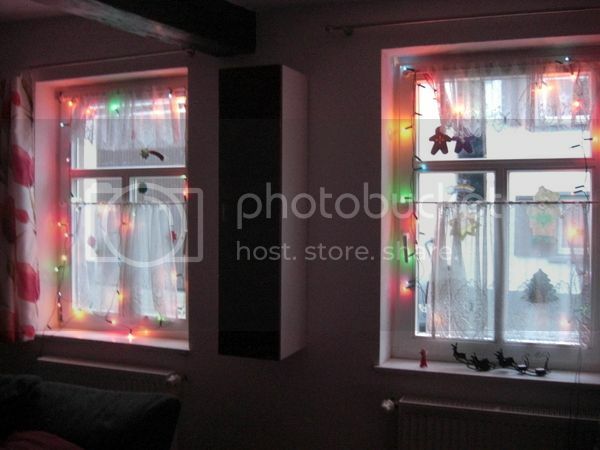 Very nice and Xmassy looking windows, Chrissi! Stephen Cleobury conducts the Brandenburg Consort.